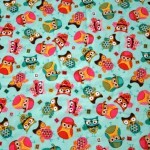 These adorable little owls will look so cute cuddled under your baby! 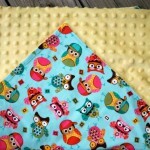 This extra heavy 100% cotton fabric is paired with a yellow minky to keep your baby warm and happy. 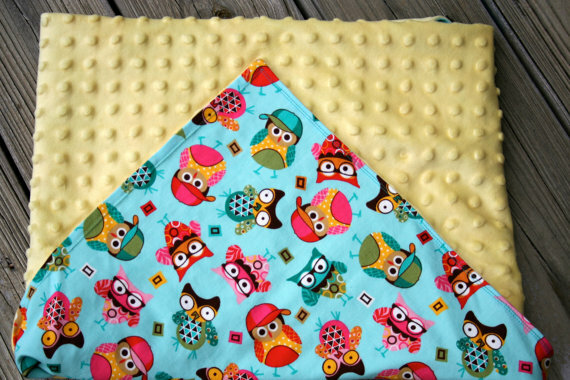 This blanket measures 33×31 and is top stitched for extra durability. 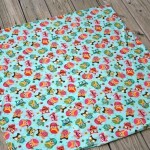 This blanket is perfect for the car, the stroller or tummy time at home. This blanket was sewn in a smoke free and pet free home. The fabric was prewashed to prevent shrinkage. 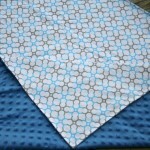 The blanket should be washed in cold water, dried on a normal cycle and can be steam ironed.